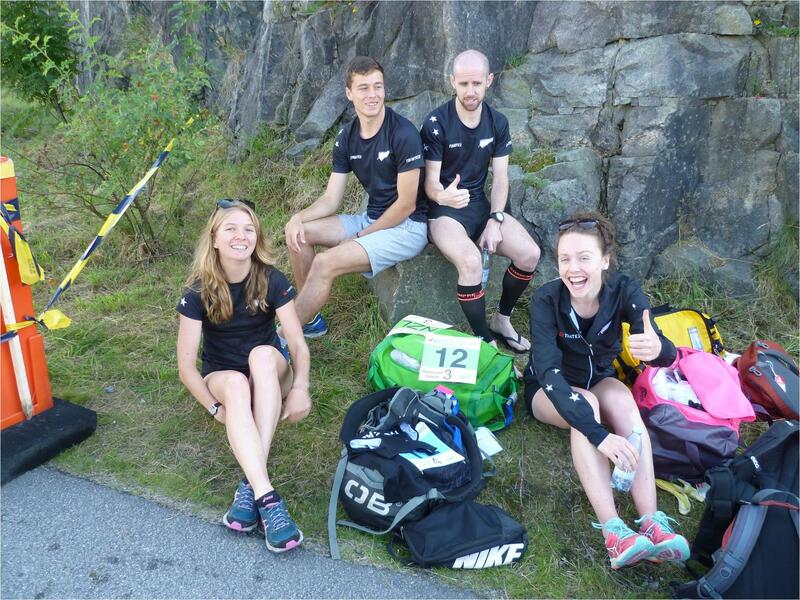 WOC Sprint relay – a bad day at the office! After last year’s 12th place in Scotland, the 2016 WOC Sprint Relay turned out to be a big disappointment for the NZL team of Jula McMillan, Tim Robertson, Ross Morrison and Laura Robertson. Sadly, Jula, on the first leg at her first WOC, had the kind of run that nightmares are made of. First visiting the wrong split at control 3, but then completely missing 7 and having to climb back up hill from 8, and then after the run through, perhaps a little spooked by the large and vociferous crowd in the arena, missing 10 and again having to backtrack, coming in 5:39 down in 28th place. In a sprint relay once out of touch with the pack it is very difficult to regain ground and although Tim, Ross and Laura gradually moved NZL to 25th, then 24th and finally 23rd, the race was already effectively over. C’est la vie. Tim’s run was actually excellent, out of touch with the main pack he dropped only a further 30s on the leaders. Up at the front Denmark retained their title from 2015 with individual World Champion Maja Alm overtaking Sweden on the last leg and holding out afast finishing Judith Wyder of Switzerland for a 16s victory. Through the final arena run through a fast closing GBR looked to have Sweden in their sites but to the delight of the crowd Helena Jannson held on for 3rd. We now say goodbye to the streets of Stromstad as attaention shifts to the forest events starting with the Middle distance over Tuesday night New Zealand time, with Toby Scott, Lizzie Ingham and Kate Morrison making their first appearances at WOC2016, with Tim also lining up.